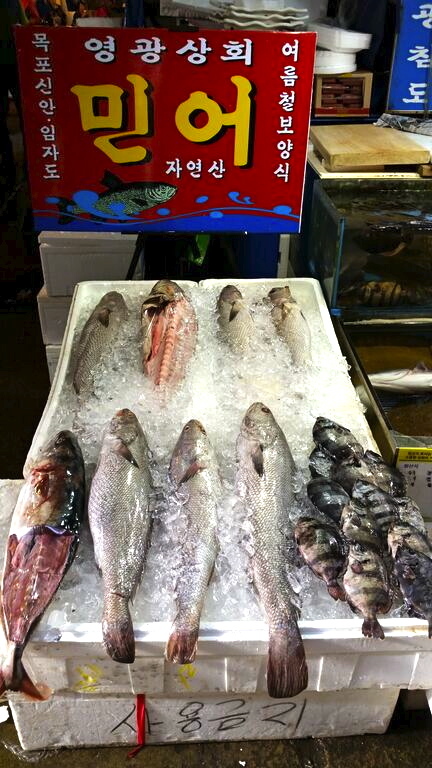 For all the fish and seafood lovers, the massive Noryangjin fish market (노량진 수산물시장) is definitely worth a visit or two. 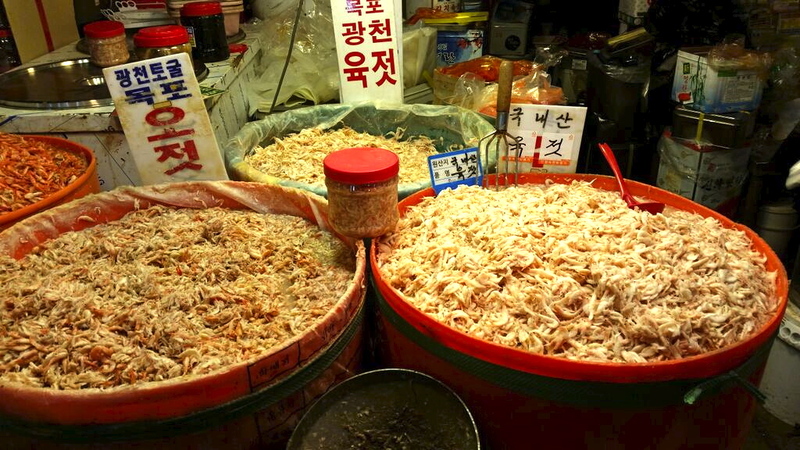 Regarded as one of the top sights in Seoul by the Lonely Planet, the market is filled with rows and rows of all types of sea creatures ranging from live eels to fresh sashimi selection plates and crabs bigger than your head. The variety is so big that even someone not so into eating the fishies such as myself found myself entertained at the hustle and bustle going on at the large market. 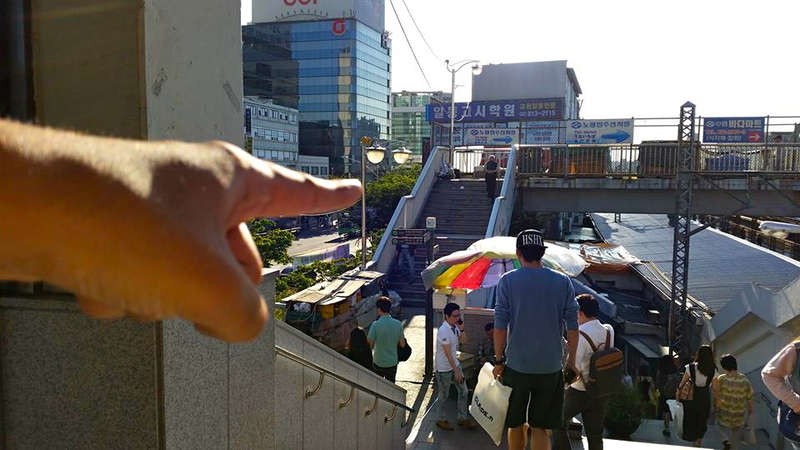 As we hopped onto the metro at the Hanyang University Station (한양대역), my fellow exchange writer Kavi and I wondered if we would find the place easily or if we’d get lost on the way. 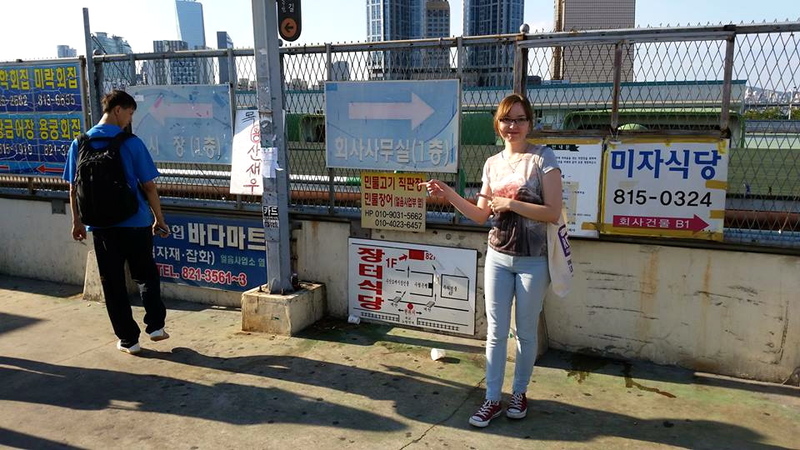 Turns out that getting off at the correct station will definitely not be a problem; when the metro doors open at the Noryangjin station, the waft of fish and ocean can be easily smelled even before stepping out into the station. When leaving the station you should use Exit 1, and take the stairs up and across the bridge to the other side of the railroads. On the bridge there should be a sign leading to the fish market, but if in doubt just follow your nose, you will find your way for sure! 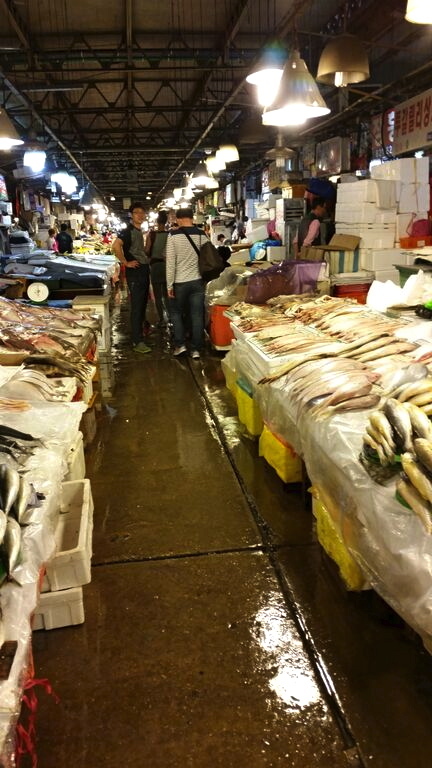 The Noryangjin fish market is a large hall right on the other side from the station, just take the stairs down and you will be greeted by the numerous aisles of seafood heaven. 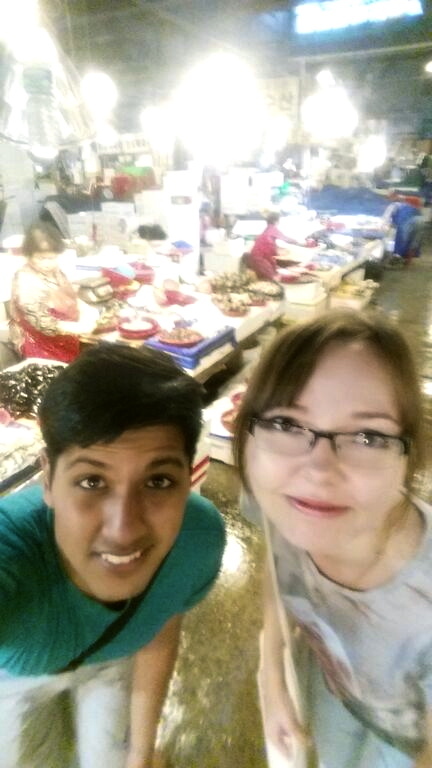 Bright fluorescent lights shine on the hundreds of stalls where the sellers have put their wares out for inspection. 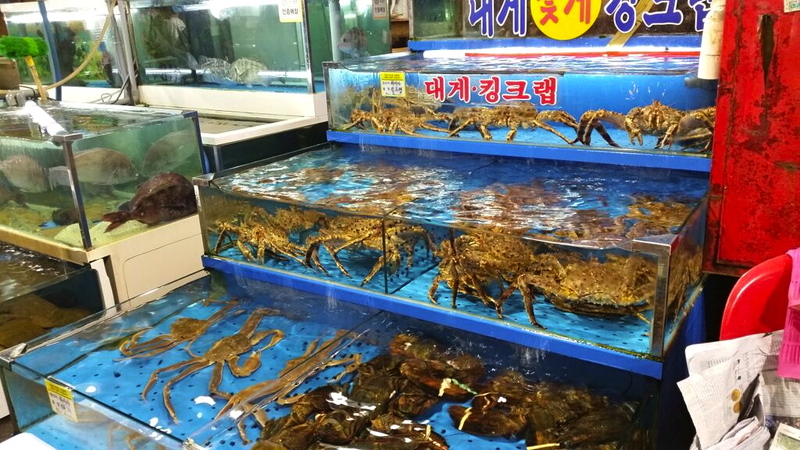 When we arrived we witnessed a man take a large crab out from its tank, showing it to an interested buyer. The crab was still alive, wiggling its legs in the air. 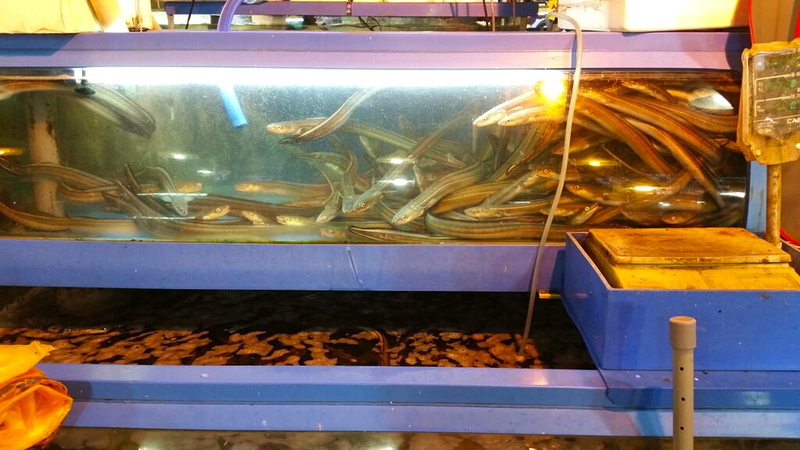 Piles of clams, shrimps and smaller fish were arranged on several different tables. 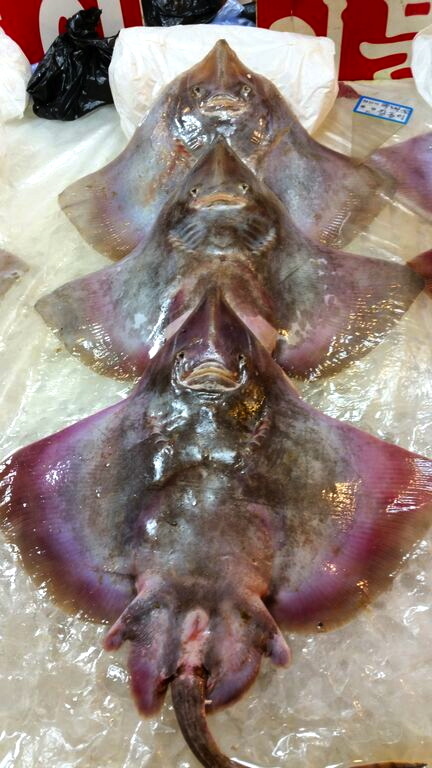 A pair of rays appeared to be smiling from their ice bed. 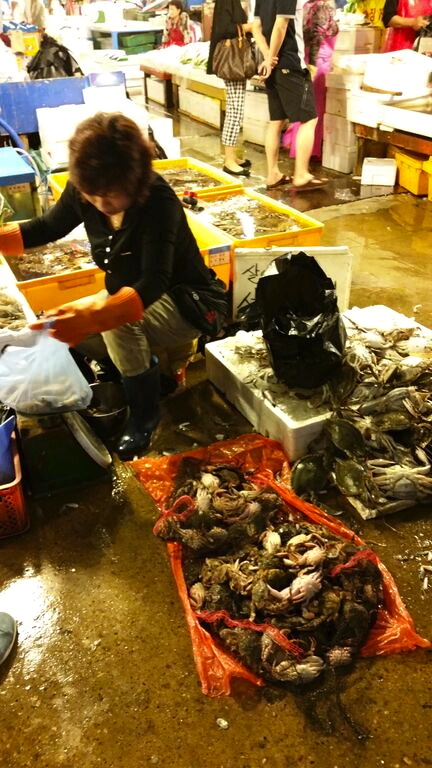 The sellers need to keep the seafood they sell fresh and cool, so they occasionally poured water over the drying oysters or dumped more ice to replace the melted cubes. Tip: Wear shoes that are not open at the toes unless you fancy getting water or (if you are unlucky) fish parts on your feet – the floors are wet! 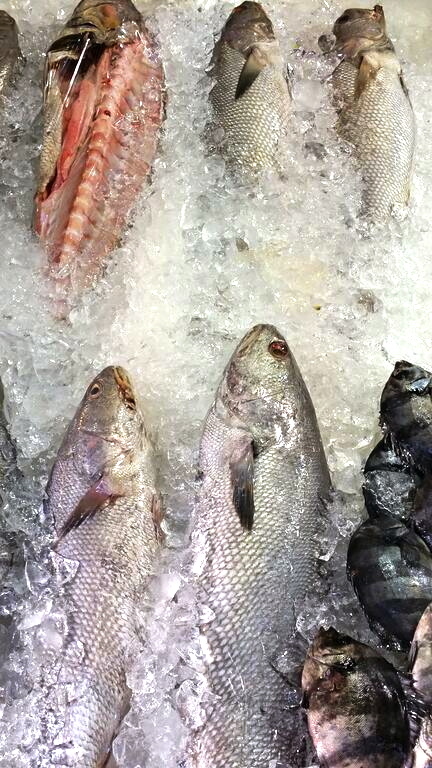 If you find something you like, you can choose if you want to buy the whole fish or not. 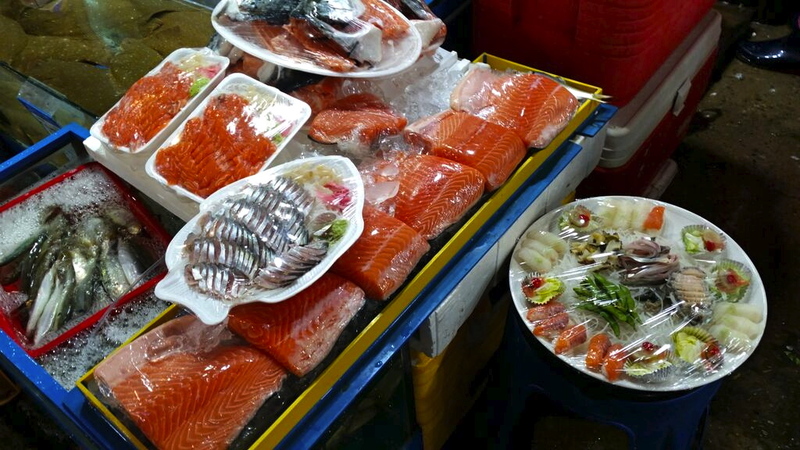 It is possible for the sellers to cut a piece of the size you want, or even buy a ready plate of sashimi. If you are hungry and can’t wait to test the food, it is possible to take your fresh ingredients upstairs to a restaurant that will prepare and cook them for you. 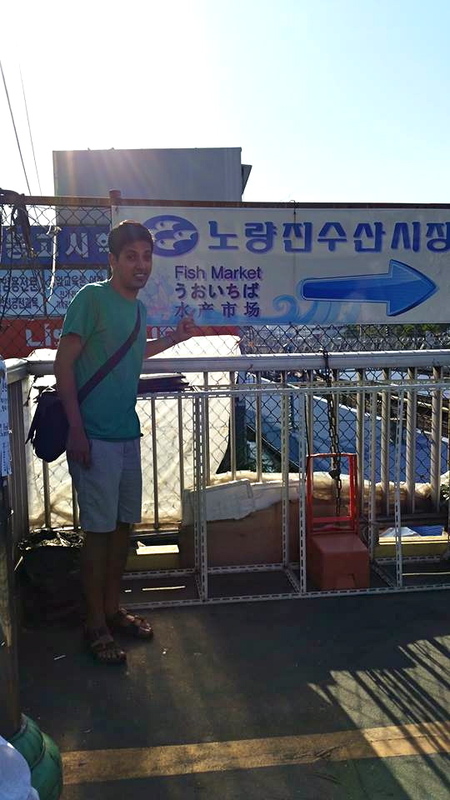 The Noryangjin fish market is a wonderful place to check out in the middle of a modern city like Seoul. The atmosphere there is apparently at its best around 5am in the morning when the local restaurants come to buy fish in bulks for the day. 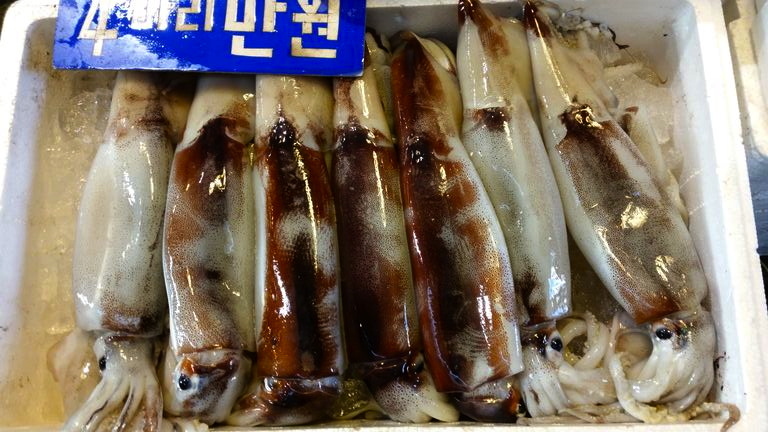 Those interested in experiencing Korean seafood cuisine at its freshest would definitely benefit from a trip to Noryangjin. Article by Miia from the U.K.